In a world where electronics surrounds us, it’s almost incredible that the corded cutoff switch still exists. 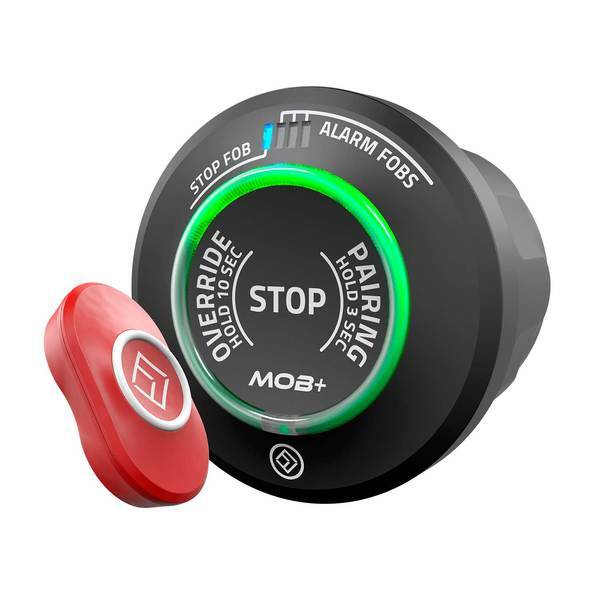 The MOB+™ Wireless Man OverBoard system is an innovative, ABYC compliant, lifesaving safety device for your boat. It provides greater freedom of movement than a traditional kill switch lanyard, and stops the engine should you fall overboard. Connect up to four people to each hub: Up to four xFOB’s can be connected to the xHUB at the same time, with one unit acting as the captain’s stop unit, and the additional three as alarm units for passengers. xHUB™ and wearable xFOB™: The system consists of an easy-to-install xHUB™ (mounted on or near the boat console) and a wearable xFOB™ for each person (or for your pet). The two communicate wirelessly with each other and stop the engine when the xFOB is submerged in water or is beyond range of the xHUB. Wear it: The xFOB™ can be worn on your wrist, around your neck, or clipped to your life jacket using either the xBAND™ or xTAG™ accessories. Long battery life: The waterproof xFOB™ has more than 300 hours of battery life, and is powered by an easy to change standard coin cell battery. 12/24V hardwired xHUB™: The xHUB™ connects to your boat power (12V-24V) and to your engine stopping system. Intuitive and easy to use through a one-click user interface. Universal design: Compatible with all major outboard and most sterndrive engine brands. MOB Mode: MOB Mode (Man Overboard Mode) is the safety mode of the system. MOB+ will automatically shut down of the engine when the STOP FOB is submerged in 4" of water or travels out of range from the xHUB.